This graph illustrates the funding to date by Themes and sub themes. As can be seen over 95% of the funding goes for rural economic development Enterprise Development and Job creation. And social inclusion. 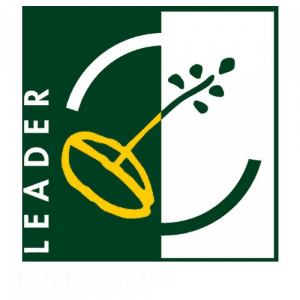 The information can also be analysed on a Sub-Theme level and this illustrates that 40% of funding are allocated to Basic Services for hard to reach communities and further 44% goes to Enterprise Development and Rural Tourism. This Graph illustrates the breakdown for each funding body in Ireland. 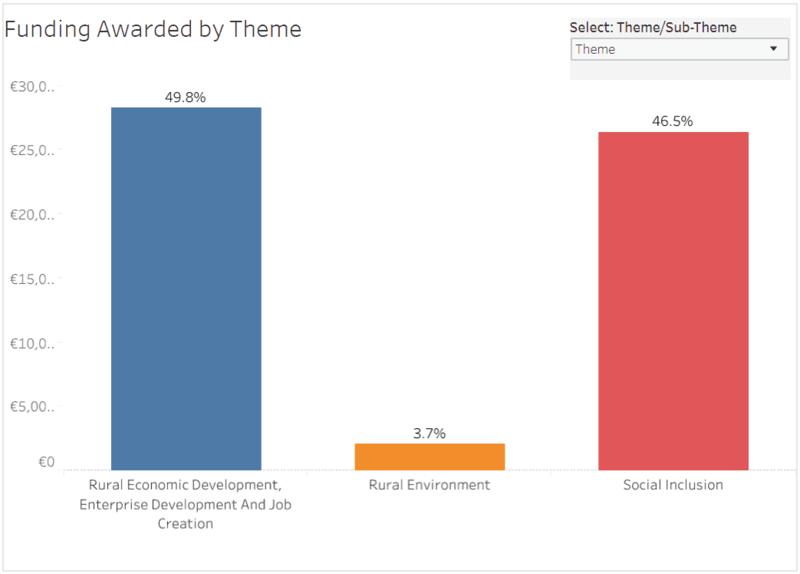 The graph can be selected from three main Themes and illustrates the sub-theme breakdown further by each funding body. 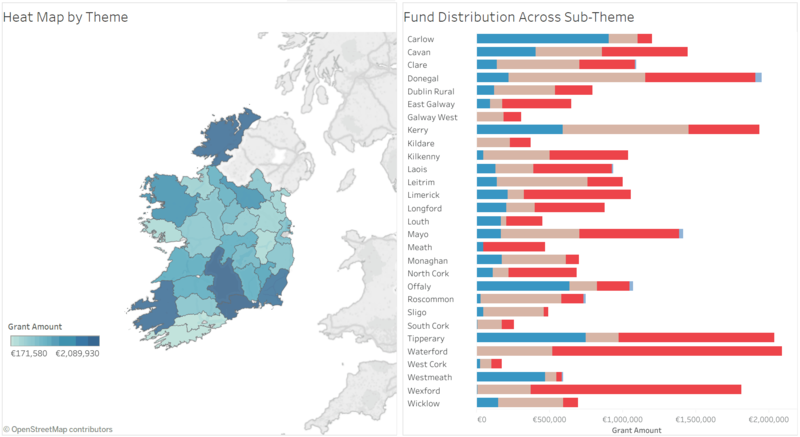 This graph provides a full view of each funding body and its distribution. The dotted line illustrates the national average for that theme or Sub-theme and as an example we can see that Kerry spends more on Rural Tourism and less on basic services compared to national average.